There are few places in the world which bring to mind crystal blue waters and luxurious resorts more than the island nation of the Maldives. Within the many atolls and reefs, there are plenty of options for elegant accommodation and memorable views, so how do discerning travellers decide which is the best property for them? Those with an interest in sustainable practices, slow living, and unforgettable villas should look no further than Soneva Fushi. An eco-chic jungle hideaway, aka, Robinson Crusoe luxe at its best. Read on for Citizen Femme’s take on Soneva Fushi – barefoot luxury in the Maldives. Before departure to Soneva Fushi, guests are sent a thorough questionnaire to customise their experience — with everything from pillow selection to fragrance. On arrival to Male (where the international airport is located), visitors are personally greeted by a Soneva representative, who escorts you to a private lounge with cold towels and other refreshments. Here, visitors will finalise check-in details and await the seaplane transfer to the island, which is located in the Baa Atoll, a UNESCO Biosphere Reserve. There’s nothing quite like landing on the water in the middle of the Indian Ocean and waiting for a boat while floating on a small dock. The phrase ‘no news, no shoes’ applies for the entirety of the stay, so along with your worries, your shoes are removed from the minute you step onto the boat. Now, you meet your ‘Friday,’ a representative who will serve as a butler during your visit to Soneva Fushi. On an island where vegetation takes up most of the space, villas are tucked away off charming trails and paths. While there are different categories for accommodation, all of the villas at Soneva Fushi are luxe at its best. 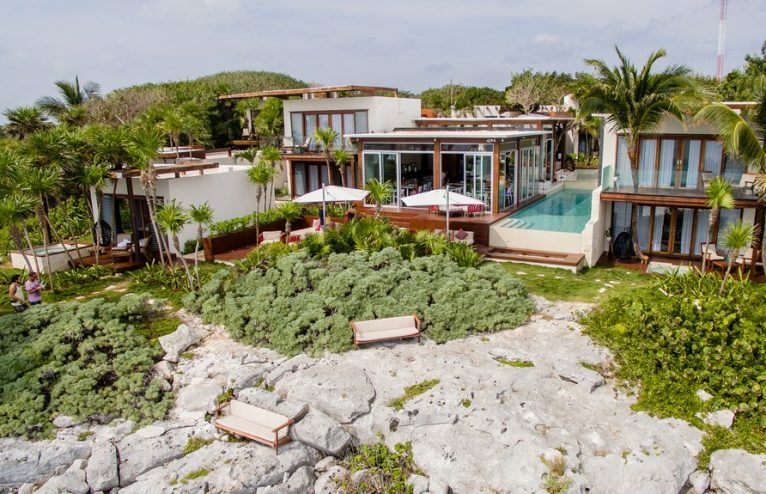 Depending on your category, expect a private seawater pool, upper floor bedroom, observation deck, outdoor bathrooms and showers with views to die for. Looking for complete privacy? Select the sunrise side of the island. Or a lover of snorkelling? Pick the sunset side, which has three reef access points. From pure relaxation to something more active, you’ve got plenty of options. Soneva Fushi is home to a modern gym, tennis court, group yoga and tai chi classes, water sports (including the Soleni dive school and a surf programme), and a Six Senses Spa. For chill out time, there are stashes of CDs and DVDs to play on your inroom flatscreen TV, DVD player, preloaded iPad and dock. While carts are available and arranged through the Mr. or Ms. Friday, many visitors choose to get around the island via bicycle, provided to each villa. Additionally, there are any number of excursions to choose from – a sunset dolphin cruise with a cheeky glass of prosecco, So Star Struck stargazing with the in-house astronomer, or watching movies in the first outdoor cinema of the Maldives, Cinema Paradiso. Or, perhaps make a visit to the recycle glass studio, So Glasscycle, where artists transform and upcycle bottles that would usually be thrown away. To get a tour of the island, there’s Soneva in Aqua, a luxury yacht built by Soneva resorts, available for day and overnight charters. Should you be travelling with children, The Den, created for them specifically has an expansive pirate pool, a dress-up room, and any other number of fun details to keep younger guests entertained. A light seawater swim builds up an appetite. The overwater Out of the Blue is the newest on the island and is an absolute showstopper. Surrounded by crystal clear waters, the two-story airy destination has overwater nets, lounge chairs, comfortable seating, a private dining room, a chilled wine room, and offers plenty of international a la carte options. Or, try a more romantic dinner on the beach. Down to Earth by Ravi at sunset, listening to the waves crashing around you, while you dine by candlelight, it couldn’t get better. Vegetarians have plenty of options throughout the property, and, reducing their carbon footprint even further, Soneva Fushi has started a Meat Free Thursday policy, where red meat is not available. Every morning, a sumptuous breakfast is laid out at Mihiree Mithaa. However you decide your Maldivian adventure, do some research to ensure you find the property best for you. And, if you find yourself falling in love with Soneva Fushi, ask your Friday to arrange a meeting to find out more about villa ownership. You might end up spending on your own holiday home in the Maldives. Rooms start from £955 in low season and from £1,590 in high. Breakfast £57.